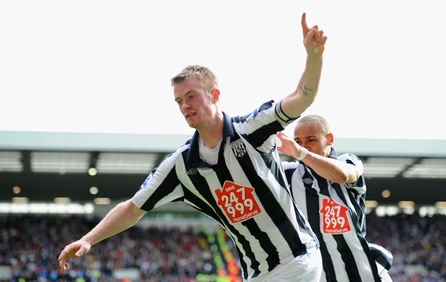 Looking for the best place to buy West Bromwich Albion tickets? Look no further! EasySportsTickets.com is your best source for all Home and Away West Bromwich Albion tickets! West Bromwich Albion Football Club, also known as West Brom, The Baggies, The Throstles, Albion or WBA, are an English Premier League association football club based in West Bromwich in the West Midlands. The club was formed in 1878 and have played at their home ground since since 1900. Finding the best deal on West Bromwich Albion tickets isn’t easy, but that's what EasySportsTickets.com is for! With our ability to get the most coveted seats at popular events, accessing West Bromwich Albion games is just a click away. So don’t hesitate – click here to buy West Bromwich Albion tickets today. We’re sorry, West Bromwich Albion tickets are currently not available. Sign up for a West Bromwich Albion tickets alert and we will let you know as soon as we have tickets available for sale. Please enter your email below for a West Bromwich Albion updates!